Our reputation precedes us! Red Wing Shoes provides the very best in comfortable, durable, work boots. However, we’re more than just a shoe store. Our motto, “Work is our work,” means we care about more than just what shoes you’re wearing. This is why we offer an extensive line of accessories from Red Wing Shoes for the working man! Need a can of specially formulated boot protective spray or a pair of our insulated wool work socks? Maybe you’d like a belt made from the same leather that makes our boots the best in the world, or a pair of custom-fit orthotic inserts to put the spring back in your step? No matter what you’re looking for, rest assured: every accessory that has the Red Wing logo on it is held to the same extremely high standards as our world famous boots. Take a look at some of the accessories from Red Wing Shoes below! These are just a few of the items we carry in our stores. We can also special order anything you need! As you can see, we carry a large variety of high quality accessories for the working man. While we certainly would call our boots our calling card, don’t let that fool you: the accessories carry the Red Wing Shoes name… and that name is synonymous with quality and durability! If you have any questions about any of these great products from Red Wing Shoes, get in touch! We’d love to hear from you and we’re happy to answer any and all questions. Our salespeople are knowledgeable, helpful, and friendly. 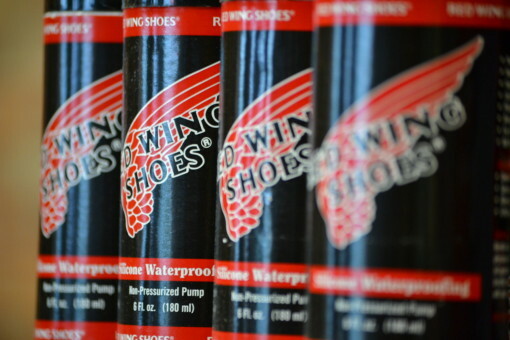 To reach us, you can contact Red Wing Richmond online, call us at any of our three Richmond Red Wing Shoes locations, send us a message on our Facebook page, or stop on in!